Please remember to have your participant member ID bracelets on at all times. For your convenience, there will be a CLLD Case Assistant in the Social Hall during lunch time every Monday, Tuesday and Wednesday from 12pm-2pm in order to provide you with any information you may need and also assist you in filling out various applications/forms, applying for benefits/entitlements, make appointments on your behalf, advocate for you if need be and much more. Please feel free to take advantage of this outstanding service offered to you. Calling all Retired Nurses and Medical Professionals: Fitness and Wellness is seeking volunteers to offer Blood Pressure readings during lunch in the Social Hall. 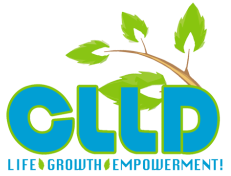 This would be a great opportunity to meet other members and share your health knowledge with others within the CLLD community. For all other volunteer opportunities, please contact Katherina at kcolucci@sijcc.com or call 718.517.7447. We are looking for volunteers to help out in our lunch program. If you are interested, please contact Katherina at 718.517.7447 or kcolucci@sijcc.com. The Senior Olympics is looking for a volunteer to chair Mah Jong on September 17th. If you are interested, please contact Albana Telic at 718-475-5289 by March 25th. *Contributions are voluntary but are necessary to maintain the quality of the courses and programs you love. Please give if you can and when you can. Film: Last Vegas. Comedy, 2013,105 minutes. Starring: Robert De Niro, Michael Douglas, Kevin Kline and Morgan Freeman. hree sixty-something friends take a break from their day-to-day lives to throw a bachelor party in Las Vegas for their last remaining single pal. Due to Amy Posner's class being cancelled for March 7th, there will be a make up course on April 4th from 12pm-1pm in the Adult Lounge. Wednesday, March 19th will be the final Line Dancing class of the semester. The time for the CLLD ESL class has changed to 9:30am-10:30am. The room where the class is held remains the same: Media Room. Class occurs every Thursday until April 10, 2014. This project based art class is great for seniors who are creative at heart but may not be a "pencil to paper" artist. Classes will be based on various countries, such as Italy, Israel, Africa; create art inspired by that country, and a receive hand out with interesting, factual information for you to explore on your own time. Past projects included collages, simple book making, faux stained glass, mask making, mosaics and more. All materials are included and participants are strongly encouraged to wear art friendly clothing or bring a smock. Come create and explore the world through arts and fine crafts. Monday March 17: Join our Women & Money lecture from 1-2pm in the Adult Lounge! Tuesday March 18: Join our Hearing Health Lecture from 1-2pm in the Adult Lounge! Wednesday March 19: Trip to Grand Central Station. CLLD trip participants should park at HKC campground. The bus will pick them up from the campground and drop them off at the campground once the trip is complete. Please arrive at the parking lot on time (9am) as the bus will leave promptly at 9:30am. For more information, please call Doron Roth at 718-517-7444. Nono is the son of the world's greatest police inspector and has been trained since birth in the finer arts of sleuthing. So when a train trip to stay with his terribly boring Uncle Shmuel morphs into a rollicking mystery-solving adventure, Nono couldn't be more thrilled. And when he meets up with the notorious criminal Felix Glick, his father's arch nemesis, he finally gets the chance to prove that he has what it takes to be a great detective. Wearing disguises and on the run from the police, Felix and Nono head to the French Riviera, where Felix introduces Nono to the seductive Lola Ciperola. Now with only twenty-four hours to go before his Bar Mitzvah, Nono has to complete his high-stakes mission - while also confronting the mystery of his own identity and the truth about the mother he has never known. Thursday Night Dinner and Entertainment. 6-8pm in the Social Hall. $3 recommended contribution for dinner, $5 recommended contribution for entertainment. Put on your cowboy boots and grab you dance partner because Loren is back for a night of dancing! 1. SAVE THE DATE: Our next Fitness/Wellness event will be Wednesday March 26th 2:30PM in the social hall. Please also note that in place of regularly scheduled Schvitz it Up for that day (March 26th) Karen will be teaching a light toning class instead. Please see flyer below. 5. Please join us for our Spring Dinner Makeover on Thursday March 27th 6:00-8:00PM. 6. We are thrilled to announce that Monday's Indoor Cycle 11:30-12:30 will now be instructed by Lina! All levels welcome to this incredible aerobic workout!